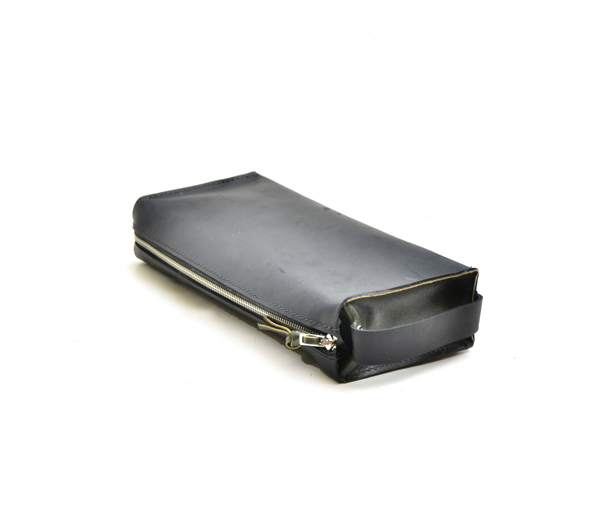 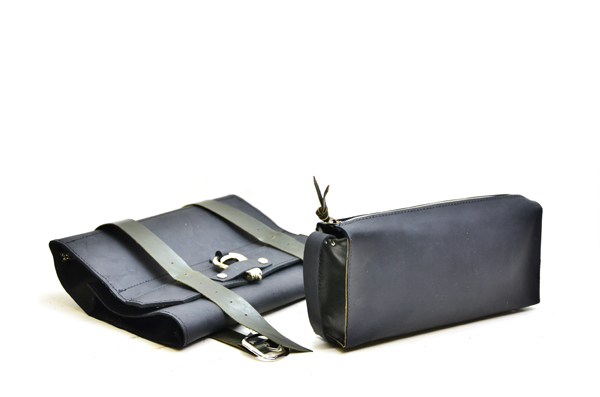 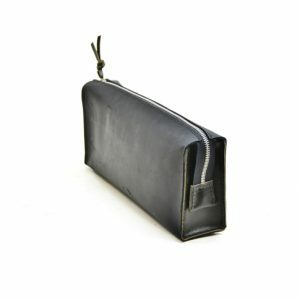 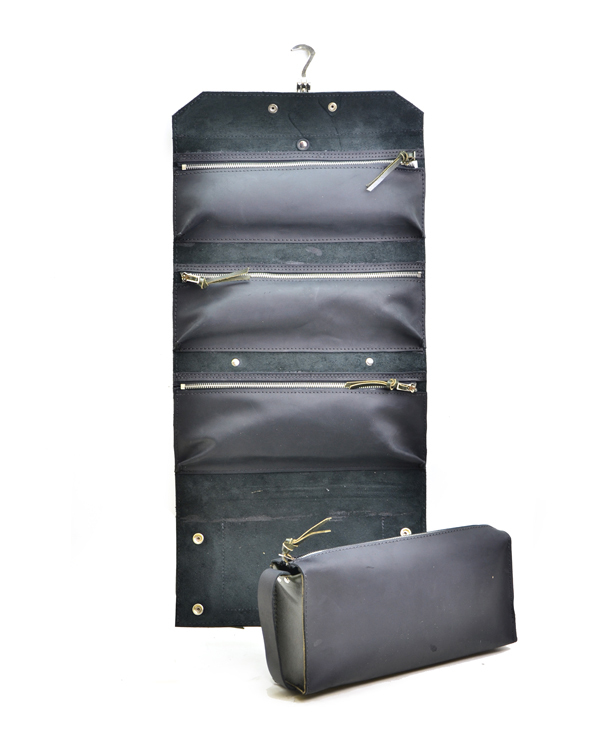 A completely original design, this case is the wife of our Men’s Leather Shaving and Toiletries Roll Case. 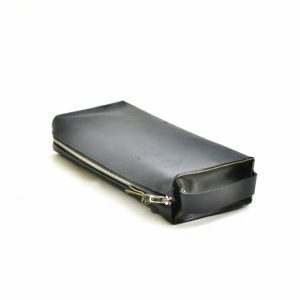 It’s a well thought out roll that keeps all your toiletries in one place, but has a removable makeup bag that you can take with you to the vanity. 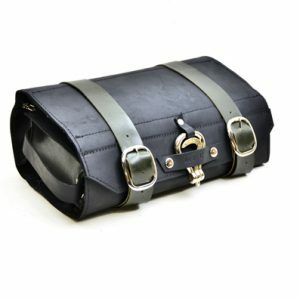 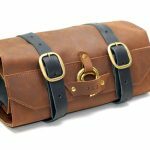 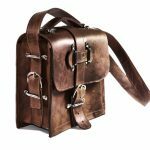 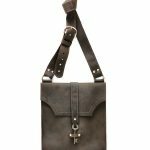 The roll is made hand made with contrasting rich oil tanned leathers that will distress beautifully, and stitched with industrial grade nylon thread. 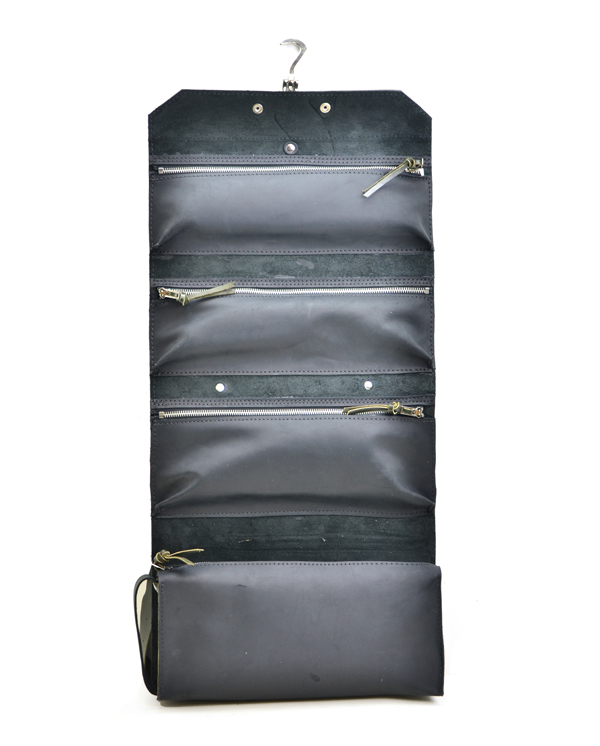 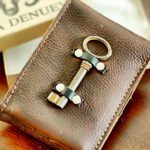 The zippers used on the case are metal, and all the interior pockets are gusseted- this case is designed for a lifetime of heavy use. 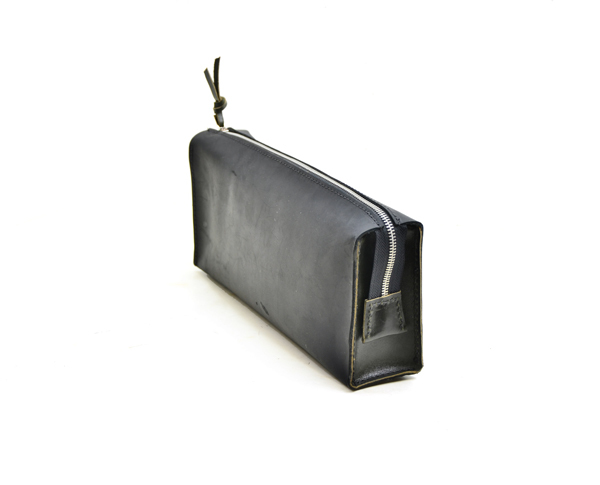 The case features three large gusseted pockets for all your personal items, as well as an exterior zippered pocket on the back of the case, and a sleeve pocket on the back of the case. 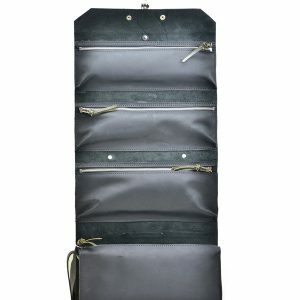 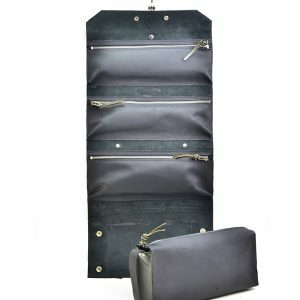 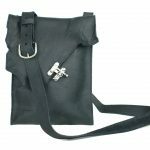 In addition, it has a removable DOPP style toiletry bag secured by heavy duty metal snaps – perfect for detaching for a day-bag or when you need to flatten the roll down and play tetris with your suitcase. 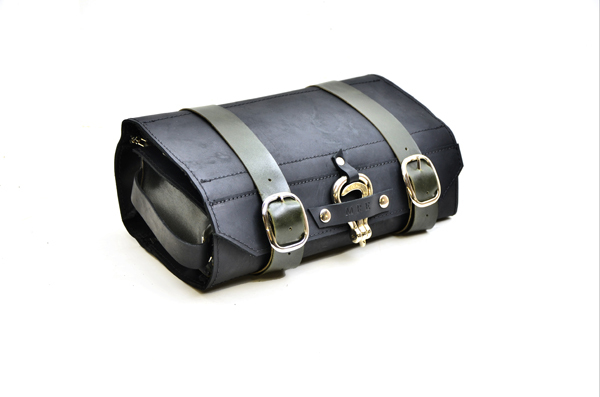 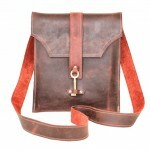 The leather exterior will distress beautifully giving this case a wonderful rustic, aged look.